It’s not the politics part of the essay which interests me especially, as my ivory moral compass has long gone into hopeless spasm in the vicinity of Orwell. (But Catalonia! But informing! But Mao! But elephants! and etc.) And on the language side, Orwell’s statements come off for the most part as hopelessly prescriptive. 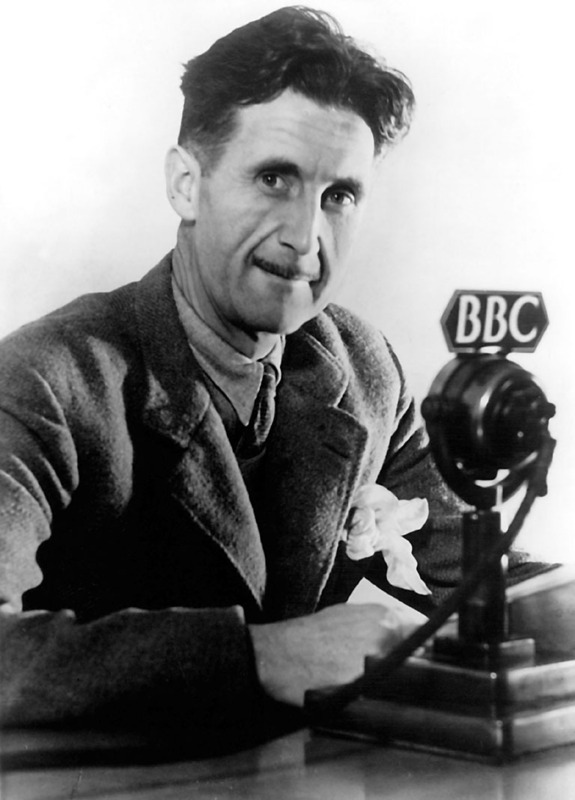 His grumbling at the degeneracy of then-contemporary writing is the most useless sort of conservatism, because he’s seeking to conserve something which has never existed: Orwell starts out with the assertion of a decline but offers no evidence of the golden age from which this decline has allegedly occurred. There’s not one solitary sample of good writing, making it obvious that claims of a better age are exactly the sort of sentimental toss you’d expect from someone who makes a moral beacon out of a bit of bowdlerised prole-song in 1984. At bottom, this comes down to two very simple edicts: avoid thoughtlessly repeating phrases which convey thoughtlessly repeated ideas, and think about how your message will be received. 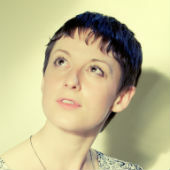 The logical failure which Poole points out in the Unspeak post is that Orwell assumes, or seems to assume, good faith on the part of the linguistic malefactors: if these people were writing well (which means writing like Orwell in this context), they would also be thinking well (which means thinking like Orwell in this context). The essay displays the faultiness of its own logic. Orwell is writing like Orwell (obviously) but still manages to unthinkingly parrot a cliche in the first paragraph of an essay against unthinking cliches: the use of an unsubstantiated golden age to justify conservative tendancies is a trope of the classical period. Just avoiding the phrase “Golden age” isn’t sufficient to avoid the logical trap of the rotten old concept. But why assume that Orwell wanted to avoid this logical trap? The previous utopia of which contemporary life is a degenerate shadow makes a very handy rhetorical basis for attacking things you don’t like – and the things which Orwell doesn’t like (intellectuals and left-wing radicals) are rapidly put up for criticism. Now, all of Orwell’s examples are hideously written and they’re mostly fairly stupid, but it turns out that the opening of Orwell’s essay is also rather simple-minded and he could have recruited plenty of examples of horrible writing from right-wing radicals and anti-intellectual critics. He chose not to, and this bad and unbalanced thinking and writing doesn’t mean that Orwell is saying nothing: he’s saying something, and he’s smuggling his prejudices through under the cover of rhetoric and omissions. Because, while “Politics…” is pragmatic and elegant as a style guide, as a critical guide, it’s appalling: it enables the reader to pass off a subjective judgement (this is badly written) in place of a moral judgement (this is ethically unsound), and it exonerates the reader from trying to understand anything which falls outside of the essay’s basic rubric. The English language “becomes ugly and inaccurate because our thoughts are foolish, but the slovenliness of our language makes it easier for us to have foolish thoughts”, writes Orwell. Finding something difficult to understand? That’s probably because it’s wrong, so you might as well ignore those difficult long words and go for an easily absorbed set of active statements. Yet the idea of style as an index of substance is a sound one. 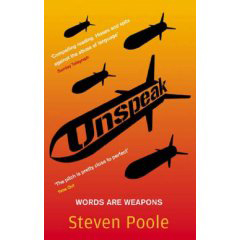 The Unspeak blog and book are a good example of such a critical project, examining the way in which statements are made in order to make explicit the bits of information which are tacitly bundled up within discourse. There’s a lot of stupid and mendacious writing which could have been avoided by following Orwell’s rules. The only pity is that he himself didn’t follow them rigorously and showed more interest in squashing nebulous ideas than refining them. The sixth rule is the most important of all, and there’s an awful lot of barbarity issued under cover of Orwell.